While on holiday in Malta, there are various wonderful things to see and do, as well as beautiful island beaches to enjoy. Visit St John's Co-Cathedral to see Caravaggio's painting and the inlaid tombstones covering the floor in this celebrated place of worship. 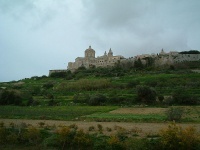 Still in Valletta, the Malta Experience illustrates the history of Malta at the Mediterranean Conference Centre. 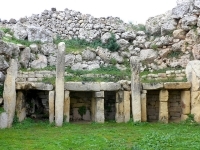 The Three Cities are home to architectural displays of the island's maritime history, while Hagar Qim boasts a prehistoric temple complex, including the oldest human structures in the world. Visit Marsalforn for great restaurants and bars or dive into the 'blue hole' at the Azure Window's secluded pebbled bathing pool. 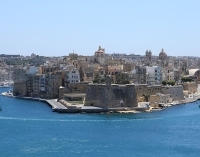 There is a wealth of historical sightseeing for tourists, and combined with the hedonistic glories of the Mediterranean coast makes Malta a superb travel destination. Getting around in Malta is easy thanks to the cheap and reliable public bus system which has an unexpected charm due to the use of vintage buses. 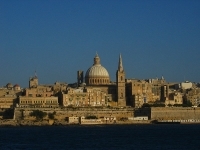 Services radiate from Valletta, so you may find yourself doubling back to get to other destinations. The buses can be uncomfortable in extreme heat since none are air-conditioned. But the short rides make it bearable. You can pick up schedules at terminals or on the buses themselves. You can also take the white taxis that will transport you anywhere on the island. Having said that, local pre-booked black cabs are cheaper. 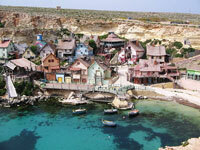 Hiring a car in Malta is another option, and you can do so at many hotels, harbours, and the airport. Another pleasant transport alternative is hiring a bike, which you can do in Valletta.